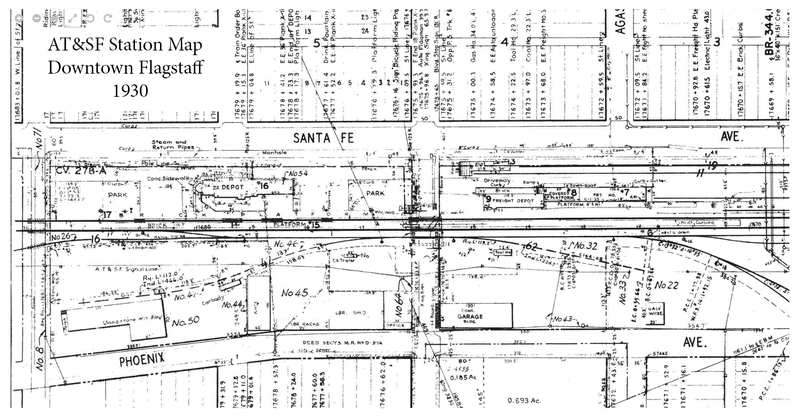 The rail line through Flagstaff is operated by the Burlington Northern Santa Fe Railway (BNSF). Railroad systems are divided into subdivisions, usually between crew change points. 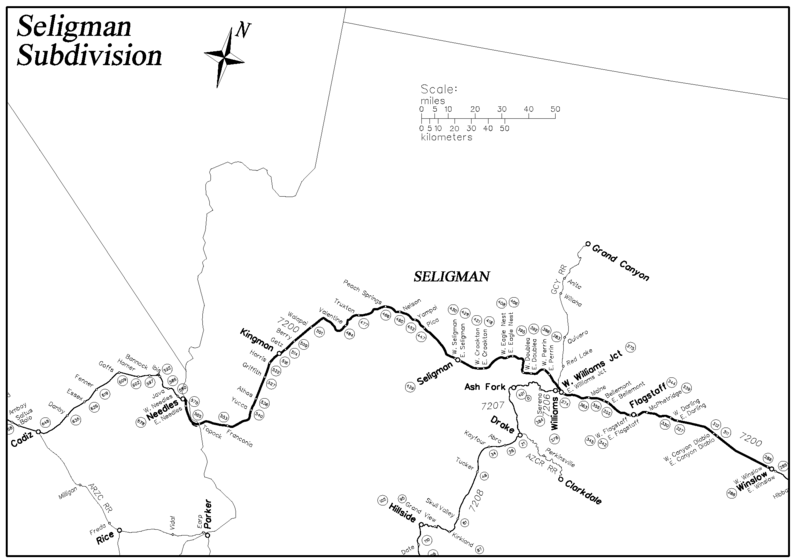 This line is known as the Seligman Subdivision, and stretches between Winslow, AZ, and Needles, CA, both of which are crew change points. The Phoenix Subdivision diverges at Williams Junction and travels south to Phoenix, AZ. The Flagstaff Depot is located at Milepost 344.2. The track speed limit through downtown Flagstaff is 45 mph for passenger trains, and 40 mph for freight trains. Amtrak operates one train each way per day through Flagstaff, both known as the Southwest Chief. Westbound Train #3 is scheduled into Flagstaff at 9:32pm MST, and eastbound Train #4 is scheduled into Flagstaff at 5:09am MST.